You don’t need to have any Scottish blood to find Rablogan Castle of Scotland a fascinating shopping experience. Owners Robert and Julie have brought the best of their Scottish heritage right here to Manchester for your pleasure. Philosophically, they have divided the goods into three categories. The first, “For the Inner Self” brings together delicacies from the kitchen, including Scottish salmon, cheese, the infamous haggis, and many, many more. 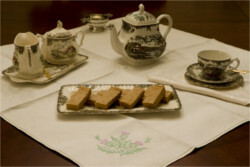 Many of the treats such as Scottish shortbread are made by Julie personally using recipes from Scottish ancestors. 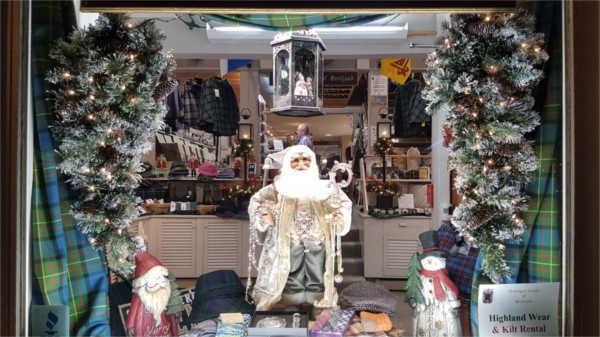 We guarantee, you won’t find a more interesting shopping destination in Vermont. And, maybe not even in the entire country. Come in daily from 9:30 am to 6:30 pm. You will find Rablogan Castle of Scotland at 4919 Main Street in Manchester.